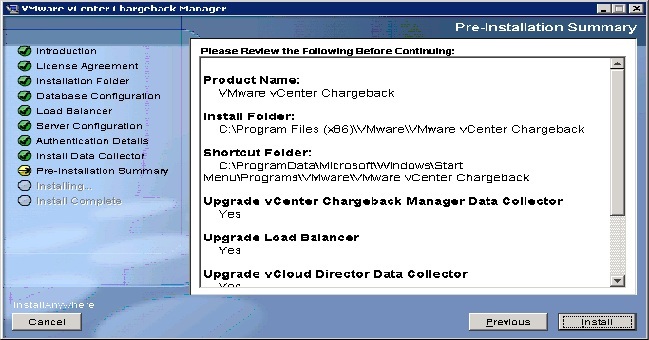 In this blog post we will see how to upgrade vCenter chargeback manager 2.5 to 2.6. 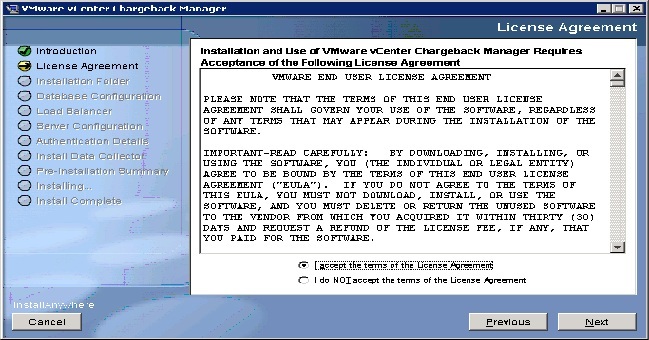 It is assumed that the 2.6 version of CBM is downloaded from the VMware site and is available. 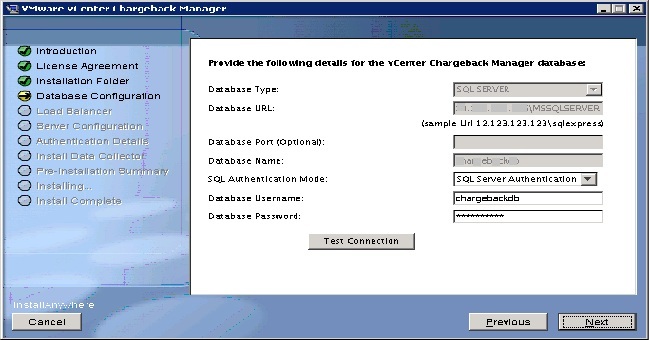 Lets proceed with the steps involved in upgrading the chargeback manager 2.5 to 2.6. Extract the Zip file which contains the CBM exe file. This will start off the InstallAnywhere wizard that will take you through the upgrade process. 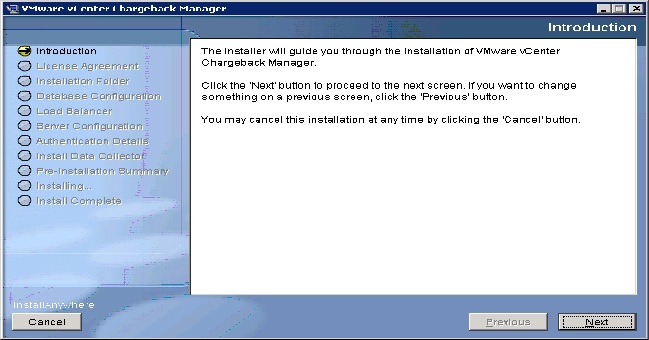 Once the installer starts, It takes you through the Introduction page. Click Next once you are done reading it. 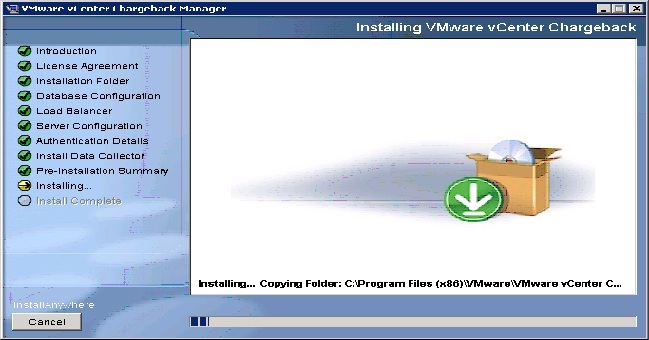 The wizard recognizes that you already have a older version of CBM installed and whether you would like to upgrade it. Next it will take you to the database configuration page. Here you will have to review your DB settings and make any changes if necessary. Once reviewed, Check the connection by clicking on Test Connection. If all the relevant details were provided the connection goes through and displays a “Connection Successful” message. Now the installer stops all the services related to CBM that are running on the machine. Once the services are stopped and verified, the installer proceeds to next step. As part of installation the installer reconnects to all the collectors. Since its a upgrade, all the data collectors will be present already. 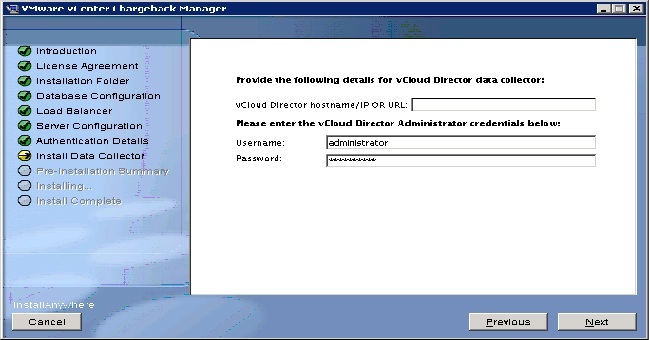 Give the credentials to reconnect to vCloud instance. 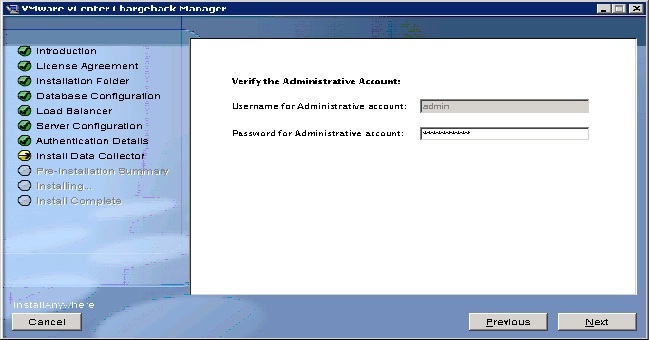 Enter the admin account password for the approval of the upgrade. This will start the installed which will take some minutes to complete the task. 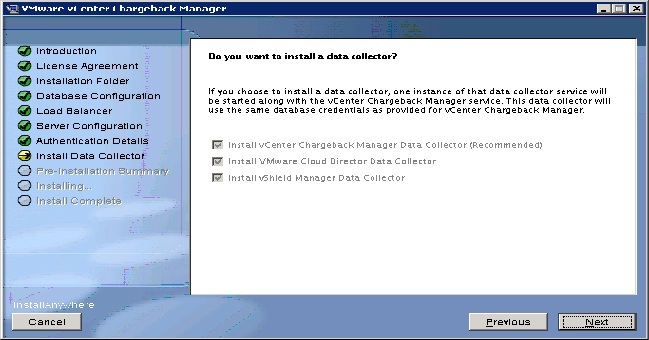 This message says you will have to add the vShield manager servers manually. Once all the processes are completed and CBM is upgraded successfully a system reboot is prompted. Click Done. Once the syatem is back on, check if all the required services have started and you can login to the CBM-UI. 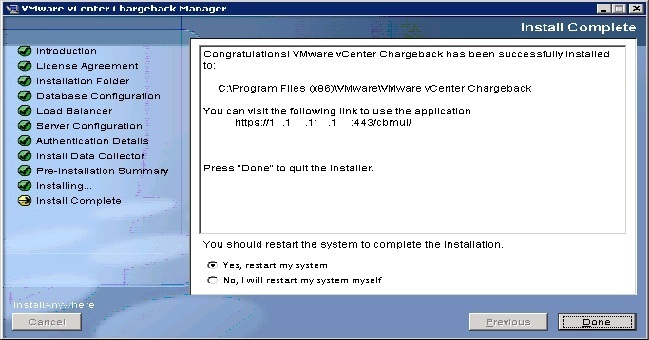 This concludes the process of upgrading vCenter chargeback manager 2.5 to 2.6.